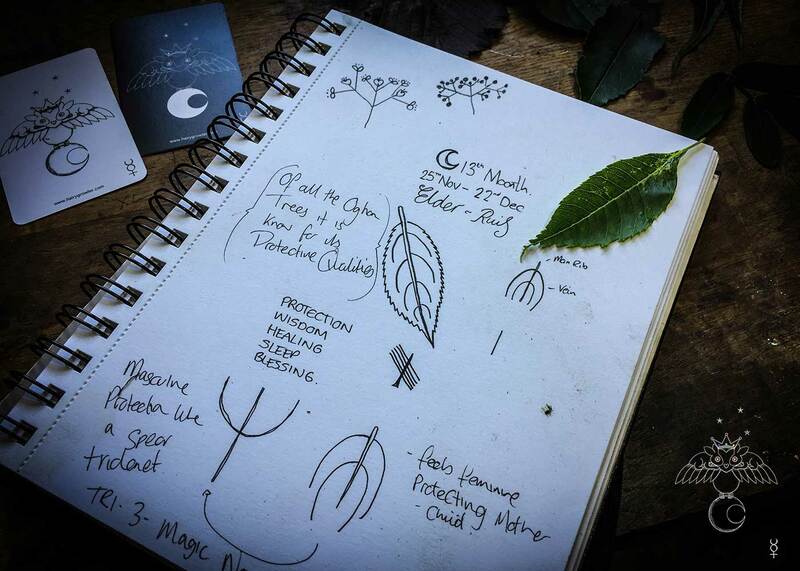 “Elder – Shapeshifter, The ruler of the 13th Moon-th Month of the year. 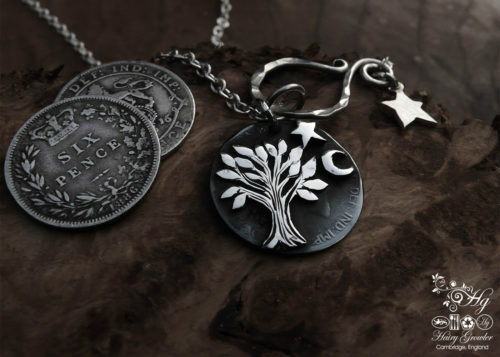 The most intuitively protective of all the trees, perfect for protection amulets.” – The Growler. 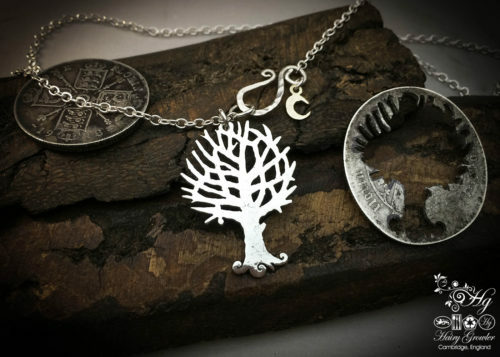 Elder tree ogham necklace – handcrafted and recycled ethical jewellery made from silver 100 year old shilling. 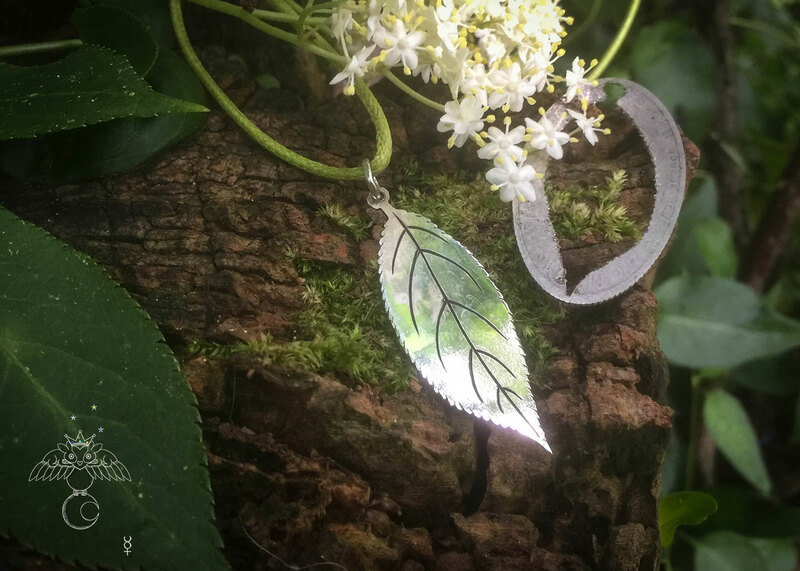 Elder tree leaf necklace, a protective amulet handcrafted and created using recycled raw materials such as this silver shilling. 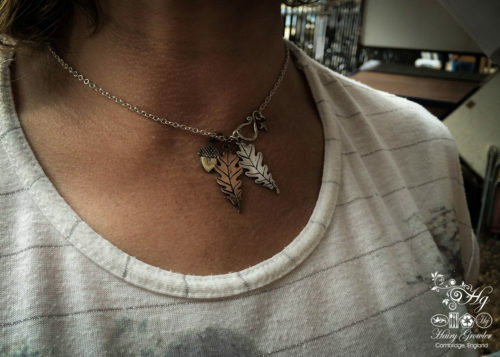 Consequently the necklace is eco-conscious by nature and completely original. 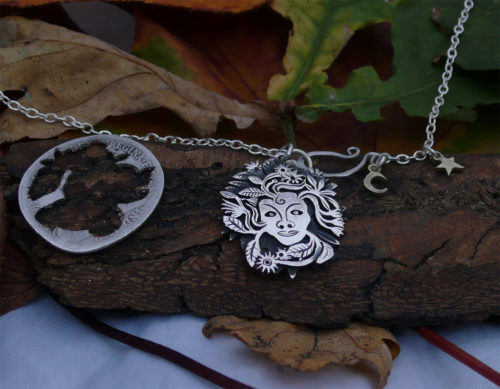 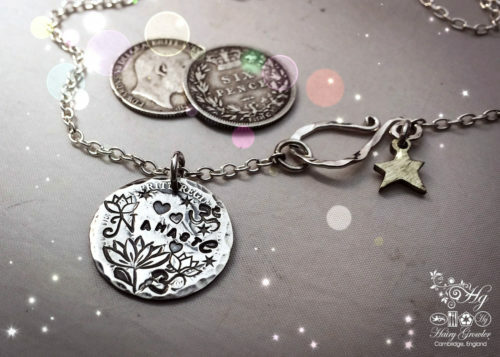 The individual look is maintained by the traditional tools and techniques used to transform the silver coin into wearable nature art. 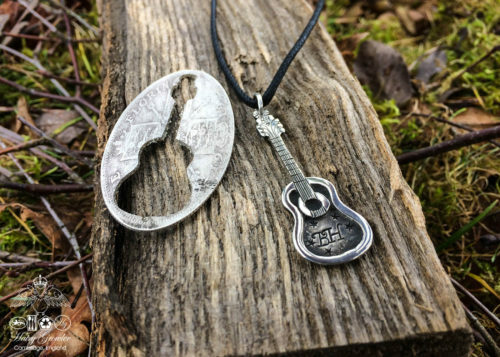 The fine details are hand carved and cut in a pain staking process to connects my intent with each piece. 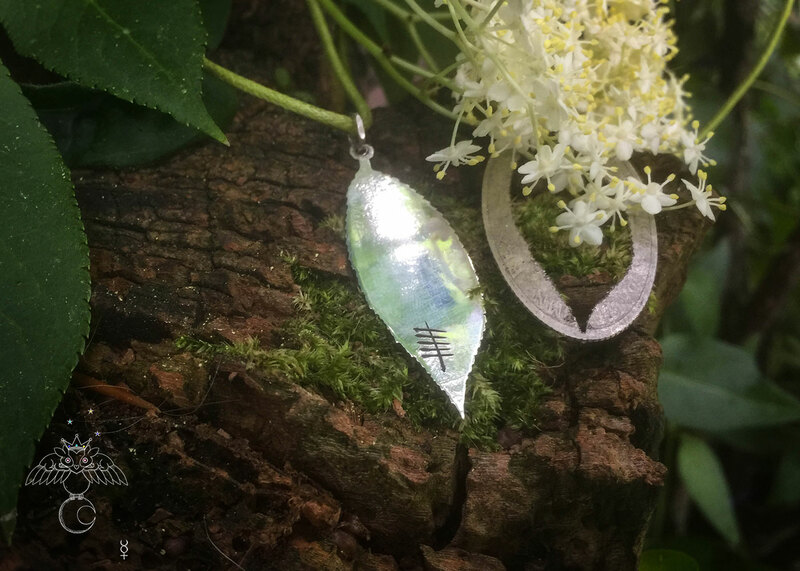 The Elder tree Ogham leaf I have created from a recycled silver coin are imbued with these connections and will make beautiful necklace and protection amulet. 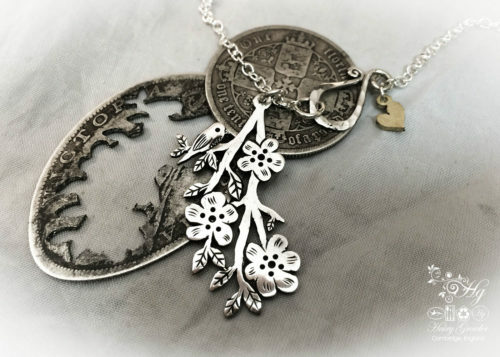 Each leaf is lovingly handcrafted to order and a delight to make. 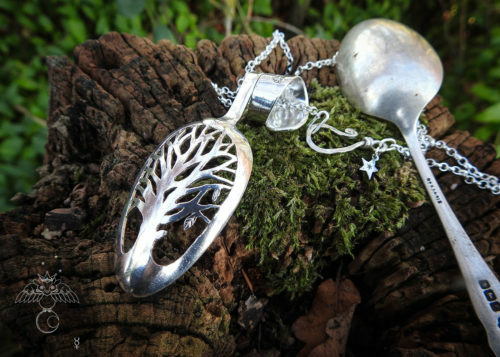 The leaves are available as just the leaves to go on your own special chain, or on a adjustable cotton neckcord (variety of colours), on one of my flourish chains with accompanying star, heart or moon?